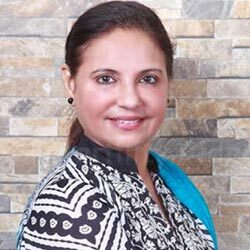 Dr. Rita Bakshi is one of the most experienced fertility specialists in North India with over 32 years of practice in the field. She performs over 1,000 cycles of IVF-ICSI at her Delhi IVF center and naturally has an excellent understanding of the procedure. Dr. Bakshi received advanced training from Singapore and Germany and has extensive knowledge of all kinds of fertility issues. Founder of the UPKAAR Surrogacy Welfare Trust. Vice President of Indian Association of Occupational Health dealing with Industrial workers & Industrial Hazard exposure. Dr. Rita Bakshi is the one of the most highly experienced gynecologists in Asia. 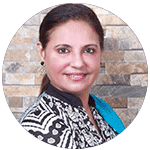 Her vast experience and passion in the field of gynecology and ART has allowed Dr. Bakshi to maintain some of the highest success rates in IVF. Her donor egg-surrogacy success is exceptional at over 80 percent. To request evaluation of your case by Dr. Rita Bakshi, send in your details via the form on the right. Please send complete details for a quick response. Dr. Rita Bakshi is a highly experienced gynecologist and fertility specialist in Delhi. She performs over 1,000 IVF cycles a year and has excellent success rates, especially with the use of donor eggs and surrogacy. You can also consult with Dr. Bakshi for tubal blockage, endometriosis, uterine and ovarian cancers and all kinds of other gynecological problems. Get in touch to request an appointment for your fertility or gynecological problems. Thank you mam! we are so happy!